Destin attractions, things to do: fishing, water and adventure parks, water sports, golf, pontoon rentals, dolphin cruises, family activities. Favorite Destin attractions and things to do include water sports, boating, sight seeing and dolphin cruises, deep sea fishing, pontoon boat rentals spas, golf and other adventures. Family activities include adventure parks, dolphin cruises and even a pirate ship. Here’s our currently recommended list. We offer a variety of cruises including Dolphin Cruises, Destin Sunset Tours and Crab Island Adventures. Your private charter can range from two to four hours and is customized for whatever your group wants to do or wherever you want to go. If your condo is on the Destin Harbor, Okaloosa Island Bayside or the Intercoastal Waterway and have dock access Captain Brian can pick you up and drop you off at no additional charge. When planning your vacation to Florida's Gulf Coast, Pelican Adventures, Inc. has you covered! From deep sea fishing in the Gulf of Mexico or Choctawhatchee Bay to Snorkeling or Parasailing. See our website for photos and more exciting details! 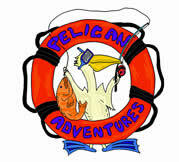 www.pelicanadventures.net or call 850 650-3825! Canoe, tube, or kayak down the only sand river in the nation! Blackwater Canoe Rental is open 7 days a week. Just Chute Me Parasailing! If you want to touch the sky, you've got to learn to fly! We specialize in providing Destin's most thrilling water sports activity. Choose from 400, 600 or 800 ft rides. Fly two or three at a time. Anyone can do it- If you can sit, you can fly! Spectacular views! Call 850 650-4630 for rates and information. -Destin's first established cruise service! -Four daily dolphin sightseeing cruises. "Book attractions and activities with TripShock! Lowest Price Guarantee! No booking fees on any reservations. 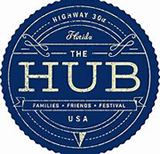 Over 100 different activities to choose from in the Destin/Fort Walton Beach area". we can make your vacation memorable and exciting! The Emerald Coast Science Center is an interactive science museum for the young and curious. Over 200 touchable, workable exhibits including a bubble room, nature discovery room, color and light exhibits, and much more. The SunVenture Catamaran is the only dolphin cruise east of Destin. It's a convenient, fun cruise for anyone in the Sandestin, 30 A or Beaches of South Walton, who want to cruise to Destin's top attractions. Docked at Baytowne Marina, the 45 foot SunVenture l offers a variety of cruises, including Destin dolphin/sunset tours and Crab Island excursions. The SunVenture l is available for private parties, including Destin weddings, rehearsal dinners, receptions, corporate outings, bachelor/bachelorette parties and more. The Emerald Coast's Largest Water Park. Hosting over 40 water attractions among tropical landscaping and cascading waterfalls. There are four children's areas, high speed body flumes and thunderous white water tube rides which empty into meandering lazy rivers. The adventure park has the largest regional tropical mini golf course and two adrenaline pumping thrill rides. With numerous food offerings, there is something for every member of the family to have "More fun than a day at the beach." Unlock the treasure of your heart and let your dreams come true as you embark on a thrilling adventure aboard the Buccaneer! Our motley crew will interactively entertain your whole family aboard a 100 foot Pirate Ship. Join the merriment of pirate stories, sword fights, treasure hunts, water gun battles, music and games if you dare set sail on the seas of Destin! Everything FUN under the SUN! Soar high through the sky during the BEST parasailing experience in Destin! Explore the local waters with our pontoon boats or fishing boats OR let us guide you on a dolphin & wild life tour! Zip through the waves in our NO GOVERNOR jet skis- that's right, go as fast as you want! No hassle parking, unload directly from your car to boat. The Funnest Dolphin - Sightseeing Cruise on the Beach. The Sea Blaster offers 3 types of exciting tours, a Snorkel / Dolphin Cruise, a Dolphin / Beach Cruise and a Sunset / Dolphin Cruise. Kids can Captain the Sea Blaster. Complimentary Beer, Wine, Sodas & Water are served on all cruises. Mention DestinDirect.com and get a $2 discount on all adult tickets. Award winning Destin Commons is the premier open-air lifestyle center for the entire family. Kids will enjoy a mini ride-on train, soft playground area & interactive play fountains and with 90+ stores featuring favorites like Bass Pro Shops, Belk, Sephora, H&M, Lush, White House Black Market, Forever21, AMC 14 Theaters, Chipotle and World of Beer, Destin Commons offers the best in shopping, dining and entertainment! Come with us and enjoy a unique and fun filled 2-hour family adventure cruise on one of Florida’s premier vacation attractions. The kids will sword fight, swab the deck, fire the kid cannon, search for treasure and much more while you sit back, listen to the music and enjoy the scenery. Have a cold drink or snack while you help the captain search for dolphins. More info and schedule at www.piratecruise.net or call (850) 234 7400. Located close to many Panama City Beach attractions Pirates Island Adventure Golf offers fun for all ages, with two challenging 18 hole adventure golf courses set in a tropical landscape including waterfalls and caves. Historic theming provides a glimpse into the days when pirates roamed the seas looking for adventure. Open 365 days a year. Call for hours and rates. Located on the bay, we're the only watersports company not in the harbor which means no idling through the harbor and more riding time! We offer parasail, waverunners with NO GOVERNERS, pontoon boats and dolphin tours via waverunner. Free photo/video package on all parasail flights booked today! Pontoon Boat rentals, Swim with the Dolphins Jet Ski and Boat Tours! Panama City Beach Pontoon Rental Company offering not just Boat Rentals but also Jet Ski Rentals, Dolphin Tours, Guided Jet ski Adventures and Private Boat Tours! Be your own captain or let us take you. Get on the water and explore beautiful Shell Island. The WonderWorks attraction is an indoor amusement park combining education and entertainment in more than 100 “hands on” exhibits. Visitors can land the Space Shuttle, lie on a bed of nails, engage in the Blackhawk virtual Army experience, climb the indoor rope course, compete in laser tag and much more. It’s fun for all ages! Snorkel, Dive, Cruise, Swim or shop in our extensive dive store with Emerald coast Scuba. Discover wonders underwater with reef and wreck dives, no matter your style an unforgettable experience for the whole family awaits. No certification needed. Crab island trips are available during the summer months. Gator Beach is home to "Pearl" a very rare albino alligator and offers interactive shows every day featuring over 100 LIVE Alligators. It's fun for the entire family and the only place where you can feed the gators and even have your picture taken holding one. Wild Willy’s Adventure Zone is Northwest Florida’s newest family entertainment center, located on Okaloosa Island just outside of Destin in Fort Walton Beach, Florida. Featuring a 16,000 square foot state-of-the-art redemption arcade, a 4D Movie Theater, Laser Maze, Salvati’s Pizza Factory, and YogoMogo’s Creamy Cool Creations, Wild Willy’s provides fun and entertainment rain or shine. Step outside and challenge yourself on two Dinosaur themed Mini Golf Courses, a 60 foot Ropes Course, a Spinning Roller Coaster, a Reverse Bungee Trampoline, and remote control Battle Boats! The largest selection of beach service and watersport rentals in and around Destin. Relax in a variety of beach chair and umbrella options, including Beach Beds and Floating Cabanas. Options include Parasailing, Paddleboarding, Snorkeling, Boogie Boarding, Wave Runners, Single & Double Deck Pontoon Boats, Kayaks, Floating Water Parks, Beach Bonfires, Beach Wheel Chairs, Sailboats, Golf Carts, Banana Boat Rides & GoPro rentals. Reserve your Beach Service & Watersport rentals online, come see us on the beach, or give us a call at 1.866.651.1869! Welcome to Gilligan's Watersports! We are the most experienced watersports rental company in the Destin, Florida area and conveniently located right on Destin Harbor. We have been in business since 1990 and are proud to offer parasailing and the finest in watersports rentals including waverunners, pontoon boats and dolphin tours on waverunners. Captain Jambo's offers parasailing and catamaran sailboat tours. We specialize in high-quality tours of 6 people, the only offering of this type in Destin! Snorkeling and Dolphin Cruises, as well as private charters are available including Fireworks and Sunset Cruises. Enjoy the beauty Destin has to offer at our beautiful, park-like harbor on the bay with private parking, just a minute drive from the Destin Bridge. Join us for a quality tour, tailored to you! Join us aboard Destin's newest, most unique vessel! We'll tour Destin Harbor and Crab Island, while you enjoy your favorite beverages, listen to great music, party hard or just relax. Great for adult-only groups, or families, wedding parties, corporate events - anything! Sunset / fireworks tours and private charters available. We have a 2 person minimum but we can carry up to 3 passemgers at a time with weight restrictions. Take a new view! Spend 3 hours paddling down Florida's most beautiful canoe trail in crystal clear spring water over a sandy bottom. Bring a picnic and make a day of it. Enjoy lush tropical vegetation & unique honeycomb limestone banks, scenery you don't expect in Florida. There are also excelent spots for swimming. Affordable fun for the entire family. We provide transportation back to your vehicle. The shard shop is a friendly Make - Your - Own Art Boutique. We offer classes in Shardworx, the art of glass on a painted canvas! Classes are an hour long and are suitable for all skill levels. Ages 6-96 are welocme. Check us out for parties, family gatherings, and team building events. ShardShop.com for more details or class sign up. Bounce Party Playzone is an indoor play facility in Santa Rosa Mall, featuring bounce houses, inflatable slides, obsticle courses, arcade and more. Rain or shine it's always fun at Bounce Party Playzone. Playzone Xtreme is an indoor play faciloity featuring inflatable obsticle courses, slides, a 20 foot mountain climb, boxing / jousting arena and arcade. We have family fun for all ages including a toddle area and massage chairs for relaxing. Located in Sunsations Plaza next to Pancakery. Deciding on "Things to do in Destin Florida". Some important considerations are ages, interests, costs and weather. Too much sun can also be a factor because it's easy to burn when you're having fun! There are so many things to choose from it's a good idea to plan activities out before you leave home. The Attractions section of DestinDirect.com is a great place to do that. One thing you'll discover is there are things to do on day trips. In about an hour or less you can visit a zoo, take a canoe trip down a clear water wilderness stream or enjoy some world class attractions in Panama City Beach. Speaking of things to do, did you know there's a restaurant in Panama City Beach that's ranked by Open Table as one of the 100 most romantic restaurants in the United States? Whatever you age, tastes or interests you'll find plenty of fun things to in Destin for everyone in your party. Parasailing, scuba, snorkeling, paddle boarding, jet skis, rental pontoon boats, bay or offshore fishing, golf, world class shopping, go karts, marine parks, water parks, adventure parks and much more. There's also plenty of things to do on a rainy day. The main attraction in the Destin area is not water parks, marine parks, go karts, shopping & mini golf. It's the beach! Crystal clear gulf water fading from emerald green near shore to a deep blue further out. The water increases in depth gradually with no sudden drop offs which makes it an ideal beach attraction for both children and adults. Sailboat, jet ski and paddle board rentals are readily available. Beachside city & state parks offer shaded pavilions, parking & restrooms. How is this beach attraction different from other beaches? Destin is located far away from silt bearing rivers which is largely responsible for the clarity of the water. The soft, pure white sand is actually quartz washed down rivers from the Appalachian mountains millions of years ago as compared to other beaches that are made up of sharp coral or shell fragments. Put all this together and Destin offers one of the worlds top beach attractions. Things to consider when deciding on an activity or attraction. Check the cost to be sure it's acceptable. You may save money by booking directly through the attraction or charter boat rather than a booking agency. All contacts on DestinDirect.com are direct. Consider how long the attraction will take, especially with children or seniors. Some attractions have height or other limits, be sure it's suitable for all members of your party. Many Destin area attractions have prolonged exposure to the sun, be sure to have and use sun protection and bring hats, caps or coverups as needed. You may want to bring water or other beverages and some snacks. Most charter boats don't provide food or beverages, you'll need to bring that. You can click into the attractions website from DestinDirect.com to get complete information about the attraction or charter boat you're considering. Things to do in the Destin, Florida area on rainy / bad weather days. A science Center, great shopping, art galleries, Ripley's, a zoo, indoor amusement park ( Wonder Works ) and a float spa just to name a few. By far, Destin's most popular attraction is the beach so here are a few things you should know. Our water is normally crystal clear and our beaches are made up of soft, pure white sand. There's several public beach access points with parking, restrooms & showers. Some have lifeguards but not all. Although there's extensive parking at some it can reach capacity as early as 10AM or so. Plan to secure your spot no later than that, arriving a little early is a lot better than getting there late with no parking spaces available. Destin also has a large state park ( Henderson Beach State Park ) right on the beach with extensive parking, large covered pavilions with grills, tables, seating and clean restrooms. Of course if you're staying in a house or condo right on the beach parking is not an issue, just walk onto the beach whenever you're ready. One last thing, don't get burned, use sun protection! DestinDirect.com supports the "International Association of Amusement Parks and Attractions" (IAAPA) and the "Florida Attractions Association" in maintaining safe and entertaining attractions in the Destin, Florida area.